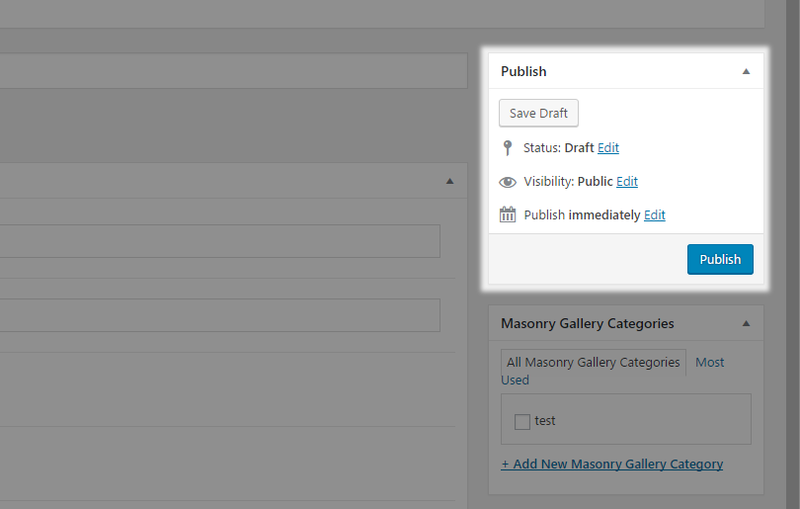 You can use the Masonry Gallery to create a captivating masonry layout with linked boxes of various sizes that can lead to any page you define when they are clicked on. 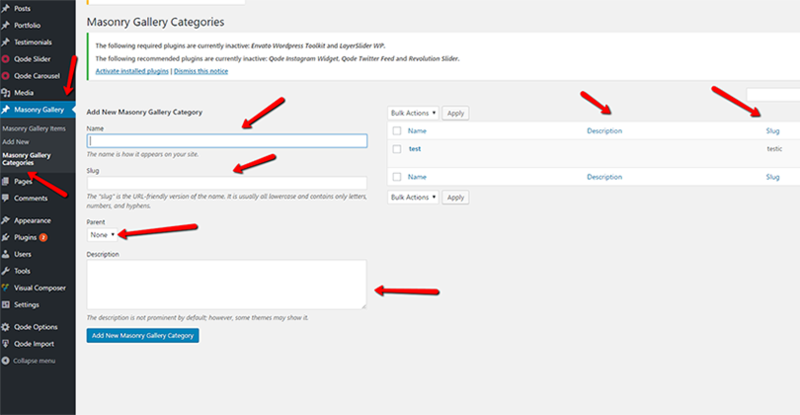 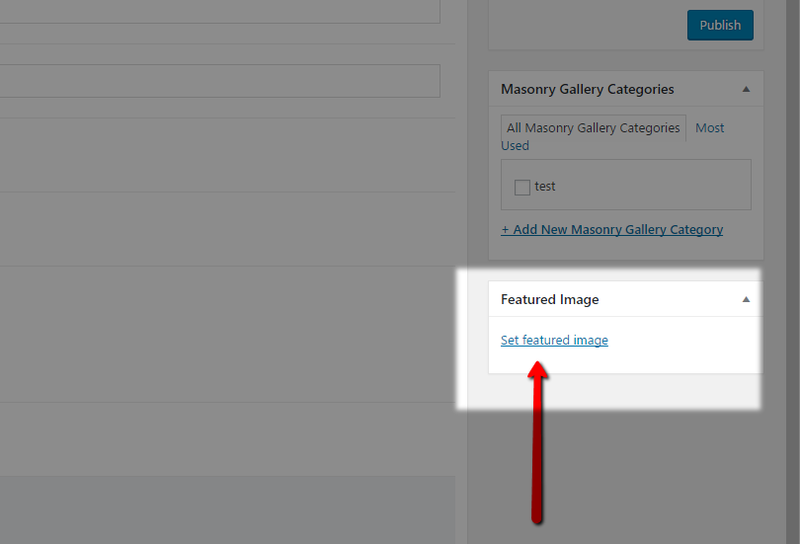 In order to add new Masonry Gallery item, please navigate to to Masonry Gallery > Add New from the admin panel. 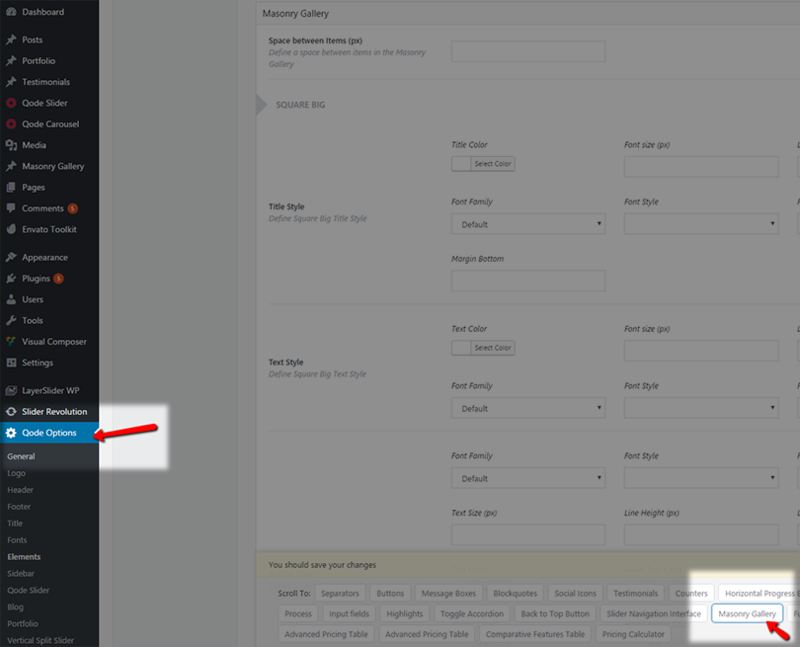 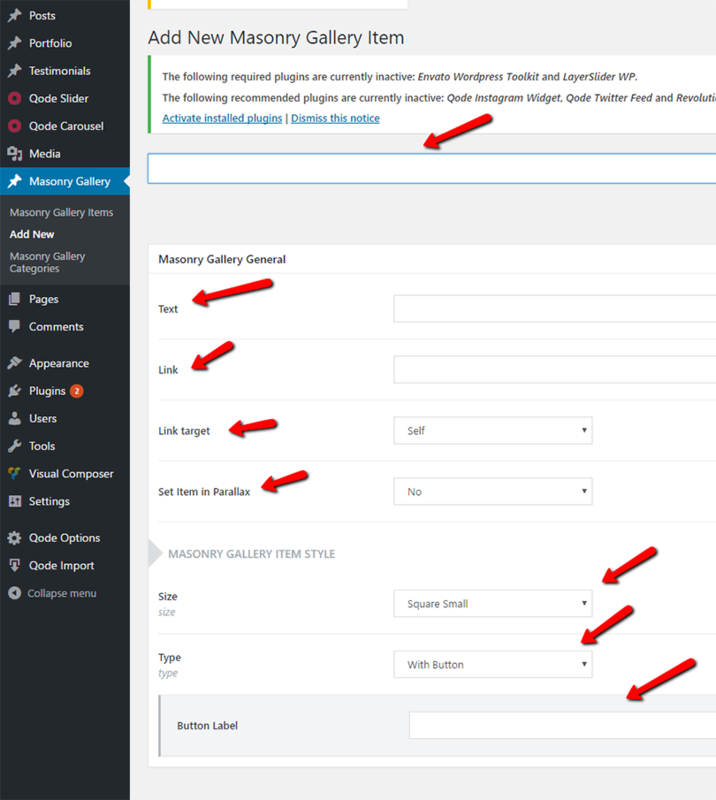 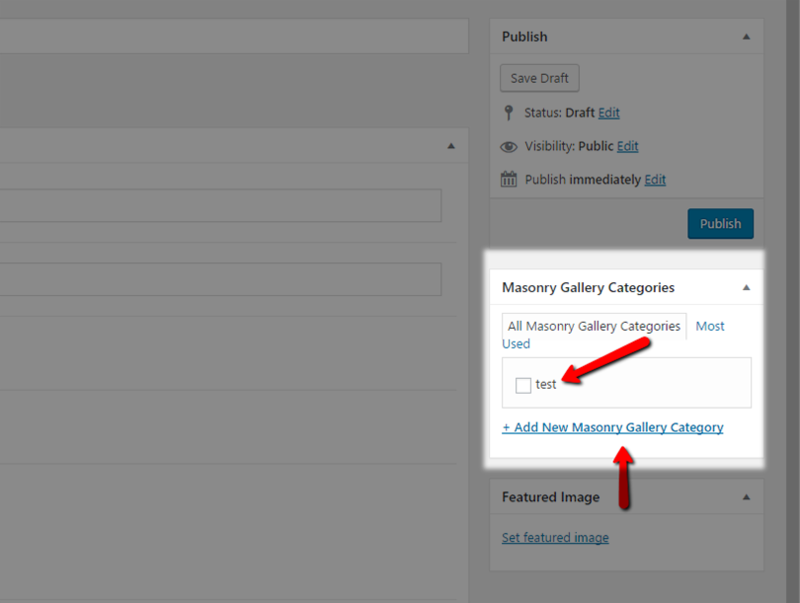 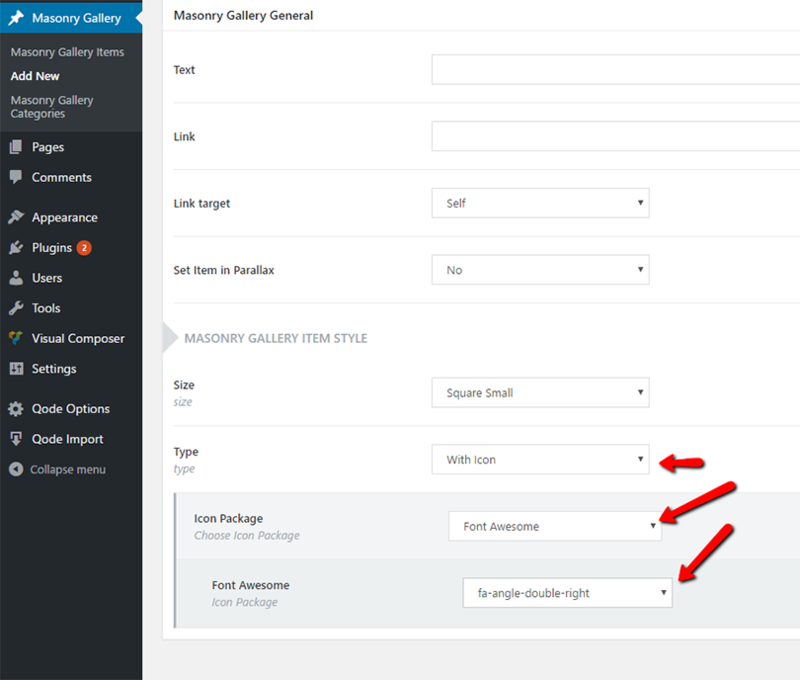 Enter a title for your masonry gallery item in the text field near the top of the screen.